Your decision to switch from fossil fuel heating to renewable, automated wood pellet central heating is something consequential you can do right now to reduce your carbon footprint. Polling data shows that the vast majority of Americans worry about the environment we’re leaving for future generations. Our national green energy conversation is mostly about creating electricity with solar and wind, or reducing transportation pollution with hybrid and electric cars. Yet, we still have 5.7 million homes1 heating with 3.2 billion gallons2 of oil every year. Switching even some of those homes to wood pellet heating would make a huge impact on mitigating climate change. 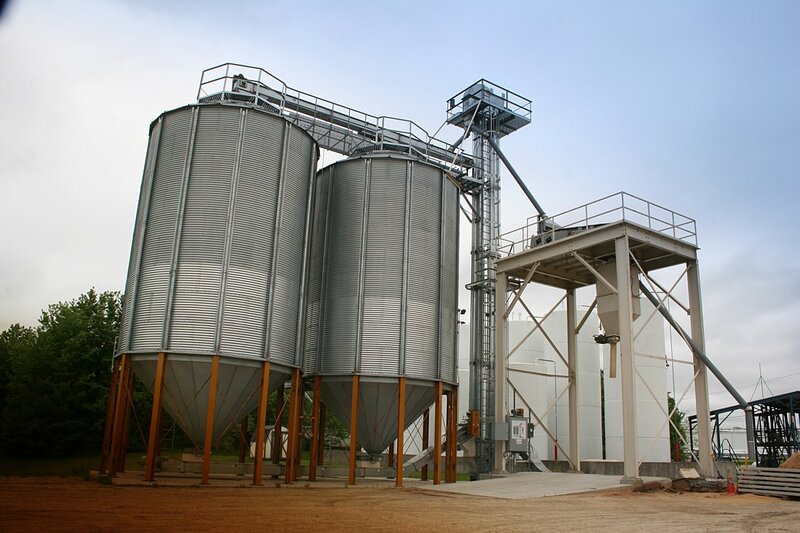 There is a fully-operational industry built around wood pellet heating fuel and clean-tech, automated pellet furnaces. In Europe they’ve spent the last 30 years perfecting clean-tech pellet furnace technology, and pneumatic pellet delivery trucking. These two technologies work together to provide the same level of convenience we’ve come to expect from our oil and gas central heating systems. Pellet furnaces are available throughout the US and Canada and can accommodate either pneumatic truck bulk delivery or bagged pellets. If bulk delivery hasn’t gotten to your area yet but you still want to save the environment AND have the convenience of bulk storage (so you can go on vacation for instance) check out this sweet hack. 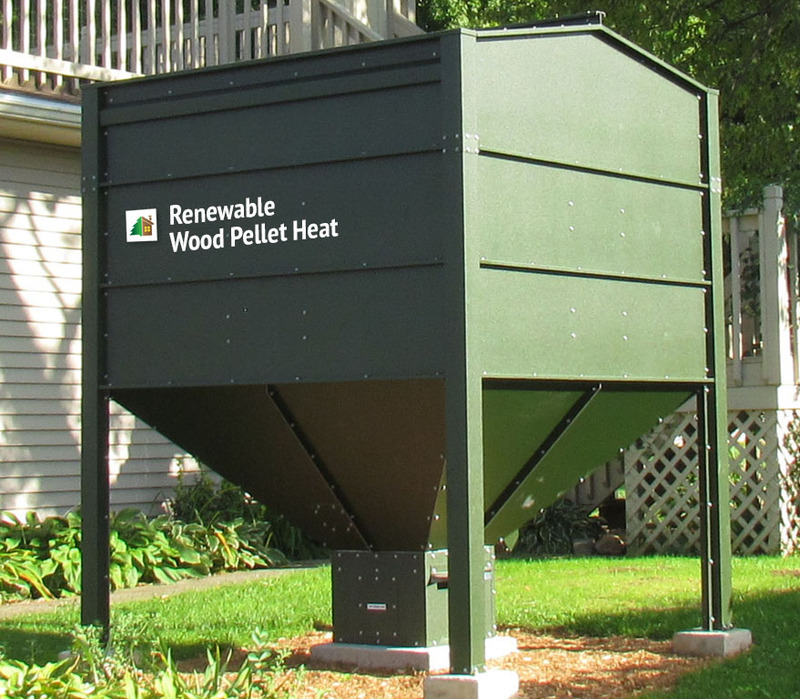 Your wood pellet heating choice matters! 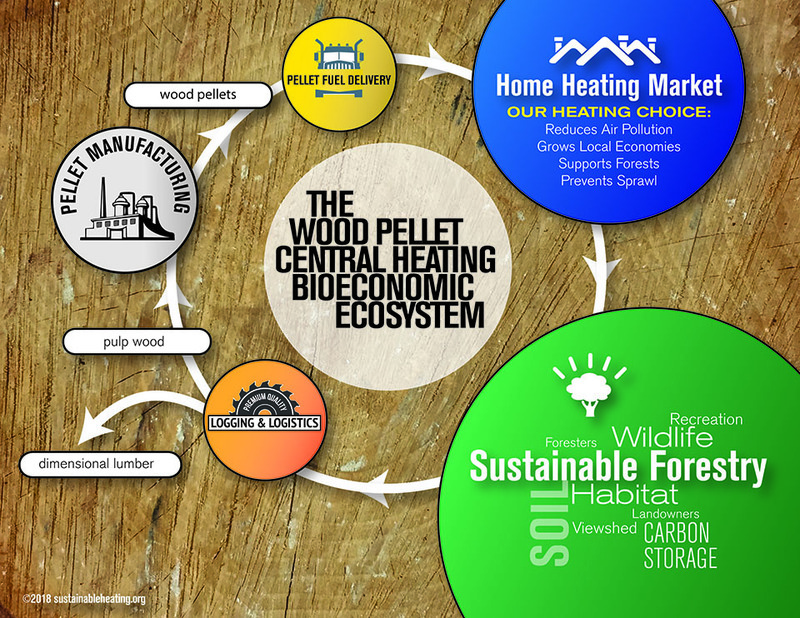 Your choice to heat with renewable wood pellet fuel incentivizes sustainable forestry and supports local jobs. It’s not just the greenhouse gas savings. The wood pellet heating industry incentivizes sustainable forestry. That’s important because our forests are under the threat of development. The wood pellet heating industry is a prime example of industry and government working together. We have millions of dollars in private investment in manufacturing, logistics, and technology. State governments have recognized that we can not get to our clean energy goals without upgrading the heating systems of our existing housing stocks. Presently, Maine, New Hampshire, Vermont, Massachusetts, and New York all have robust state incentives	to incentivize the installation of wood pellet furnaces. Furthermore, the country’s banking sector also recognizes clean-tech pellet furnaces with the same kind of green energy loans that they use to support solar energy. All we need now is you and your neighbors. Yes, wood pellet heating is disruptive. Outdoor wood pellet storage bin. Image Courtesy of Ehrhart Clean Heat. Switching to a pellet furnace or boiler is not for everyone—it takes intention. First of all boilers and furnaces are not consumer items. The key person on your path to heating sustainably is your local heating professional. He might be an independent HVAC contractor, or she might work for an oil delivery company. Some of these service techs already install wood pellet heating systems, but some of them just have no interest–go figure. If you want to get a price quote on a wood pellet boiler or furnace and your heating contractor isn’t the right match, the wood pellet boiler manufacturers will be happy to put you in touch with one of their certified installers. It’s not unusual for people to report that their heat feels warmer and somehow better after switching to a pellet furnace. The laws of physics say that’s impossible, a BTU is a BTU. Yet, health sciences has proven that there is a real world benefit when we do the right thing. Completely hands-off. Pneumatic delivery trucks deliver renewable wood pellet heating fuel throughout the northeast.